Following on from May’s Mental Health Awareness week, we thought we would address the topic of Anxiety, and share with you an incredibly inspiring and insightful book on the topic: 'First, We Make The Beast Beautiful. A new story about anxiety' by Sarah Wilson. It may not be the magic switch that turns blackness to light, but we believe those feeling overwhelmed with life, will feel a warm glow of hope that their personal 'beast' can be managed. Sarah goes as far as to conclude Anxiety can be your ‘superpower’; a driving force to a beautiful life. Sarah Wilson, author of the best-selling series of 'I Quit Sugar' books, shares her personal, often brutal account of her own battle with her ‘beast’; her bipolar disorder and crippling anxiety. Her story is both heartwarming and heartbreaking. Her anecdotes many will be able to relate to, in a world where anxiety is prevailing at a growing rate. What does a women as successful as Sarah Wilson have to feel anxious about? She ostensibly has it all. In this revealing book however, she expresses her ‘divine discontent’ and her consequent search for answers, her yearning for that ‘missing thing’; to understand the meaning to her life. This very search, has been the fuel that has kept her anxiety burning, awakening her ‘beast’. She has been at times suicidal, and to many observers clinically ‘insane’. She asserts it is not insanity that has grasped her at all, she has in fact been completely sane, watching in horror at her own descent; her anxious mind spiraling into the depths of darkness. So how does one live in the present, and in doing so manage this anxiety that can leave many paralysed with fear; drowning in a sea of questions, and an unexplainable desire to feel 'complete'? Sarah talks of how she has managed, and how she continues to tame and work with her beast, her lifelong companion. Meditation she says has unquestionably helped, despite admitting her struggle with the discipline of silencing her mind. She also talks of diet; a grounding Ayurvedic diet, one with less sugar and caffeine, has been something she also advocates. Simplifying her life; reducing the choices and thus decisions she has to make has been invaluable (decision making can be a huge anxiety trigger), along with her cathartic hikes, and ocean swims. By far Sarah’s greatest friend though has been acceptance; accepting her anxious, whirling brain and in doing so holding hands with her 'beast' as it attacks. 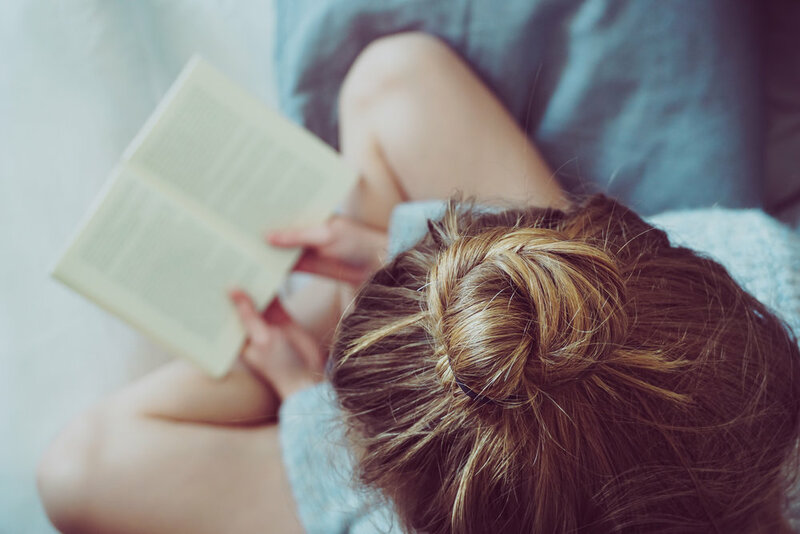 One chapter she writes in the midst of an ‘episode’, and describes how in sitting with her anxiety, being there in the present, a wave of calm flowed over her and allowed her to fall asleep for the first time in six days. Sarah has not only learnt to accept, she has also learnt to celebrate her heightened sensitivity to life, it is her gift. Her anxiety she asserts, has taken her to dark places, but in surrendering to the darkness, she has journeyed to places in her soul she wouldn’t have gone otherwise. She has got to know herself and others on a more profound level, and consequently there have been wonderful explosions of light, clarity, and creativity. In one’s darkest hours, it is hard to soothe ourselves with such musings, but perhaps anxiety can be a thing of beauty, driving us to experience a oneness with ourselves and indeed each other. Sarah’s account is stunning in its rawness, and her vulnerability ensures a connection to her readers. Despite a lifetime of ‘searching’ she doesn’t claim to have the answers, but her research and acute insights of a very human condition, can reassure anxious minds that they are not alone. Furthermore, she surmises that anxiety, when embraced, can lead to a more meaningful life, a life made more beautiful and rewarding by its imperfections.